In Texas, water has been a lifeline for many generations for centuries past. The San Antonio River is a source of a South Texas Treasure. The development of San Antonio and its most popular tourism attraction has come a long way. Walk, shop, dine, and enjoy the hospitality of our world-renowned urban waterway. After being released from prison in Huntsville through a deal with corrupt businessman Jack Beynon (Ben Johnson), Carter "Doc" McCoy (Steve McQueen) meets Jack at the San Antonio Riverwalk for a chat, before things get really ugly. 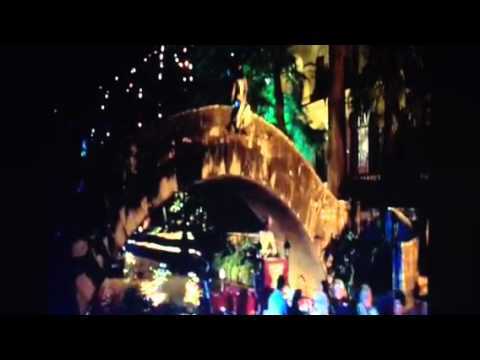 After Chris Perez (John Seda) is finally welcomed into the Quintanillas family by Selena (Jennifer Lopez)'s father Abraham (Edward James Olmos), the two celebrate their marriage during a romantic walk along the Riverwalk. Selena sits atop one of the bridges and exclaims that she finally feels free. One of the most popular and comedic scenes from the film happened right on the Riverwalk! 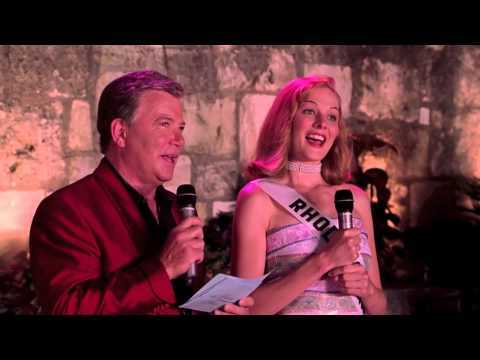 When Stan Fields (William Shatner) asks Cheryl Frasier, Miss Rhode Island (Heather Burns) to describe her perfect date, she responds: "I'd have to say April 25th. Because it's not too hot, not too cold. All you need is a light jacket!"